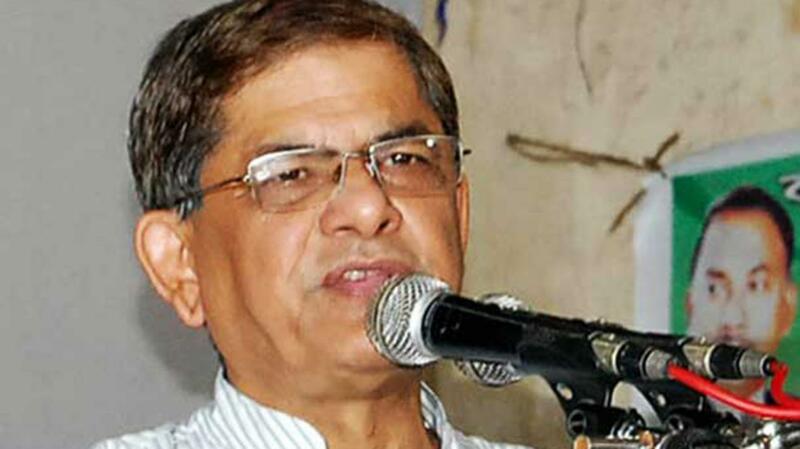 BNP secretary general Mirza Fakhrul Islam Alamgir on Friday said Prime Minister Sheikh Hasina through her statement in parliament on enforced disappearance has admitted that the government has involvement in it. He came up with the comment while talking to reporters in front of BNP’s Nayapaltan central office. Earlier on Thursday, the Prime Minister Sheikh Hasina said in parliament that the incidents of forced disappearances are not only taking place in Bangladesh, but also in developed countries. The BNP leader said it sounds good as the Prime Minister admitted that the enforced disappearance is taking place in Bangladesh. He said the government has so far not taken any initiative to prevent the incidents of enforced disappearance. Speaking at another programme, BNP senior joint secretary general Ruhul Kabir Rizvi said the Prime Minister formally recognised that the incidents of enforced disappearance have been happening in Bangladesh like other countries. “She (PM) acknowledged that there may be enforced disappearance as other countries has. So, the Prime Minister has taken the responsibility for such incidents,” he told a human chain programme. Shikhkhak Karmachari Oikya Jote arranged the programme in front of the Jatiya Press Club, demanding the release of its president Prof Selim Bhuiyan’s from jail. Rizvi said the government is making its opponents, teachers, public representatives, doctors, engineers, journalists and businessmen disappeared in its political interest.